It took a while, but I’m pretty sure I read the whole book. At least I know I read some of it more than once. Thankfully, Furman is a mom of young children herself, and she understands this about her readers. Her tone is warm, and her instruction is simple without being condescending. I’m pretty sure she knew I was going to read her book with one eye on the page and one eye on the child climbing backwards up the playground slide. 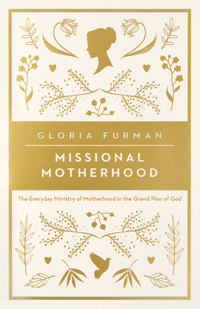 Furman helpfully and repeatedly circles back to her thesis: “what God’s word says about his mission, how motherhood fits into that, and what Christ has done to fuel and fulfill our everyday ministry as moms” (p. 17). Even if some of her paragraphs get lost in the pre-dinner shuffle, you won’t miss her main point. The entire first half of the book--101 pages of it, to be exact--isn’t really about motherhood at all. It’s about the Old Testament. As counter-intuitive as that might be, Furman has good reasons. She defends her Old Testament survey by explaining that mothers can easily get lost in the details and constantly need the big picture, that mothers need to be shaped by that big picture, that mothers need to be guided by that picture, and that mothers need to show their children (or those whom they are mentoring) the big picture. By expressed intent, Furman is not going to tell you how to discipline your disobedient pre-schooler or what method to use to get your toddler to sleep or how to have conversations about tough topics with your elementary-schooler. 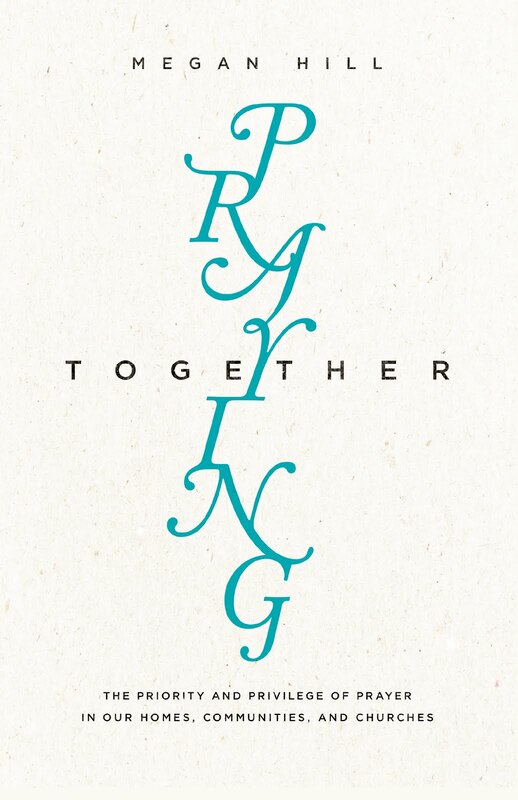 Instead, she seeks to demonstrate that mothering is one part of God’s bigger story and that all the choices we make in our days will flow out of and reflect what we believe God is doing in us and in our world. The second half of the book is not primarily about mothers either. It’s all about Christ. Here, Furman looks at the offices of Christ and considers how Christ at work in us transforms the way we mother those around us. Christ the prophet, priest, and king is our only hope and help. His ministry shapes our ministry. And his goal is our goal. As Furman writes: “It feels like our biggest need is a car that runs better, or a child who obeys fully, or a friend we can confide in, or a husband who appreciates us, or a church that values our gifting, or a ministry that fulfills us, or a body we are proud of, or a bank account that doesn’t worry us. Any one of those things may feel like the biggest, most pressing need we have. But they all pale in comparison to our need to stand in the presence of God, to whom all glory, majesty, dominion, and authority belong forever” (p. 123). And whether your mothering is the biological kind or the kind that happens over lattes at Starbucks, you will find refreshment in the fact that Christ has already done everything necessary. One of the things I love best about all of Furman's books--and about this book in particular--is that Furman, writing as she does from the Arabian Peninsula, has a global view of the kingdom. She knows personally that Christ’s church is not limited to first-world mothers at the country club swimming pool (though it certainly includes them) nor is it exclusively the property of mothers living day by day in the slums of Mumbai (though they are an important part, too). Reading Furman’s varied cultural examples from my place on the third base line in western Massachusetts, reminded me afresh that my sisters throughout the world are all engaged in this same work of nurturing life in the face of death. It drew me to love them. It reminded me to pray for them. It encouraged me to look forward to our future eternity together. And, most importantly, it made me put down the book altogether in order to introduce myself to that woman sitting beside me on the bleachers. Hi, there! Whose mom are you? Gloria Furman. Missional Motherhood. Wheaton, IL: Crossway, 2016. I also reviewed Furman's The Pastor's Wife here. And her book, Treasuring Christ When Your Hands Are Full here. And I even recommended Glimpses of Grace here. I am reading this now, too. Your review is spot on! hello guys,this is a awesome place and good application our game. full informative information.how to get free robux .get free robux is a good p. just use the app thanks for sharing it.